We all plan to keep our homes tidy and clean but eventually start collecting clutter and ultimately trash. If the clutter and trash has gotten out of control you may need some help with trash removal. We have outlined some trash removal tips below to help cut the clutter and removal all the unwanted items from your home. First, start with a plan. Choose the rooms your plan to de-clutter and what your specific goals are. Work on one room at a time. Try and estimate the amount of time you will practically need to declutter a room so you can tackle the project in one day. A garage may take a few days but is less likely to disrupt your life but decluttering a kitchen can make meal preparing and other tasks more challenging while the project is taking place. As you start to organize your space you will want to make areas or piles for organization. Generally there are three piles that should be used in any declutter project- keep, donate and trash. If you are decluttering a big space you may want to remove everything from the shelves, cabinets, etc. and then slowly add the keep items back into your space. The trash pile may be divided into trash vs. recycling and a junk hauler can help with these process. Declutter is challenging but use your best judgement and let go of sentimental attachments. While you may want to keep a few sentimental items letting too much stay because of memories can cause your space to remain cluttered. When choosing what items to keep you will want to ask yourself a few key questions like – Have I used this in the last 6 months, can i live without it, Will i need to replace this? These questions can help you to determine if you are keeping the item because you need it or because you don’t want to part with it. During your declutter project you may discover you have more to dispose of then you can reasonably handle. 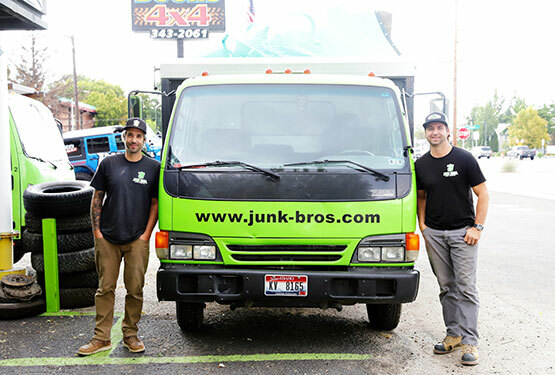 A junk removal company is a great resource for helping declutter your home. They have the right equipment and knowledge to ensure trash is disposed of properly and safely.